The following comments about attractions in Dublin have been posted from individuals. We believe that the best reviews of Dublin, Ireland are written by travellers and holiday makers who have experienced Dublin first hand and want to share their thoughts. Can you share yours? Please help us expand this section of our Dublin World Guide. 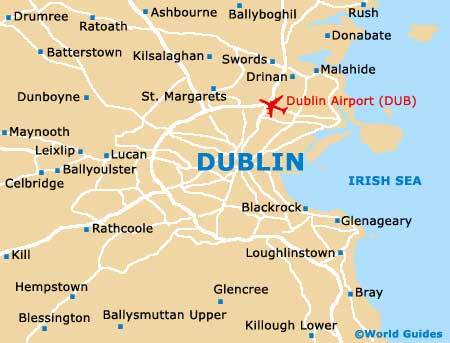 Let us know what you think about the attractions in Dublin, Ireland. Submit comments about Dublin attractions here. I was in Dublin in August in Pillar Bed and Breakfast; I was disappointed because they advertise that they offer a Wi-Fi connection in every part of the B and B but this is not true! I needed that so it was so uncomfortable. I just wanted to make other tourists aware of this problem. Old and brilliant. We all thoroughly enjoyed it and I would go again next time I'm in Dublin. It's a big zoo, but surprisingly the right size to see everything in a day. My favourite animals there were the giraffes but not for any particular reason. The price is a great price and if you are in Dublin for a holiday or trip, go there! Four of us visited some friends in Dublin for a long weekend and were taken to the famous visitor attraction - Dublin's Guinness Storehouse. It was interesting and we all had a great time. We finished the tour at the top of the building in the Gravity Bar and got a free pint of Guinness. The views of the city from here were amazing and we all thoroughly enjoyed ourselves. There is currently a lot of debate about whether or not Guinness are going to sell up their enormous factory in Dublin, for a huge amount of money. Therefore, just in case they do, make sure that you visit the Guiness Storehouse when you come to the city and put it at the very top of your list. It's a great thing to do on a rainy day and the best bit for me way enjoying my free pint of Guinness at the end, in the Gravity Bar at the very top. It was definitely the very best pint I've ever tasted, and it was certainly enhanced by some lovely views. If you are visiting Dublin and are worried about cyberspace withdrawal symptoms, then don't. There are loads of Internet cafes and coffee shops around the city if you need to check your email and things, particularly around Temple Bar. But it is unlikely that you will spend more than a few minutes doing thing, because there are so many distractions close by. Some web cafes are open 24 hours a day if you really need Internet access late at night, or on your way beck to the hotel after your pint of Irish ale. Dublin Pass - Is it really a good buy? The Dublin Pass sounds like a really good idea and is similar to thoes offering is other cities and holiday destinations around Europe - it is supposed to provide tourists with big savings. It entitles you to free entry to around 30 different attractions, lots of further discounts and does not offer free use of bus transport, like other passes, although does include the airbus from the city airport. However, at around 30 euros for a day pass, it doesn't really represent the value that you might think. It is very different to cram in a lot of sights in just one day, since they are spread out and there is lots to see at each one - we spent hours at the Guiness Storehouse and well over half a day at Dublin Zoo. Therefore, personally I would really only say to get this pass if you are absolutely sure that you can visit at least three or four big attractions in one day, otherwise it just isn't worth the money - in my opinion. However, I did quite like the idea that you could 'skip the queues'. Please note that these Dublin, Ireland comments and reviews are posted by individuals and are not necessarily the views of World Guides.